Der Luftkühlers (DLK) Vintage VW Club presents the 1st Annual Düb Splash 2012. Come hang out with fellow Volkswagen enthusiasts and show off your Dub JULY 8th 2012. 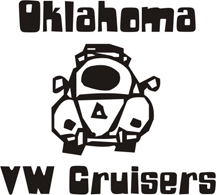 Over 30 classes including both Air-Cooled and Water-Cooled VW's with the BEST trophies in Texas. Düb Splash 2012 is being held at the 1950's Vintage Sandy Lake Amusement Park in Carrollton Texas. Sandy Lake Amusement Park is the perfect venue for a hot summer car show with lots of shade, swimming in the wave pools, paddle boats, and tons of vintage rides. Düb Splash is sure to provide cheap summer entertainment for the entire family!! Last edited by 69ghia on Mon Jun 18, 2012 4:44 pm, edited 2 times in total.